The Fortifications Interpretation Centre was established on the initiative of the Ministry for Resources and Rural Affairs through the Directorate of Restoration. It is a public institution that aims to communicate and explain the history and meaning of Malta’s military architecture and its heritage. While that might sound a rather formal remit and title, you’ll be surprised by the visitor experience that lies within. 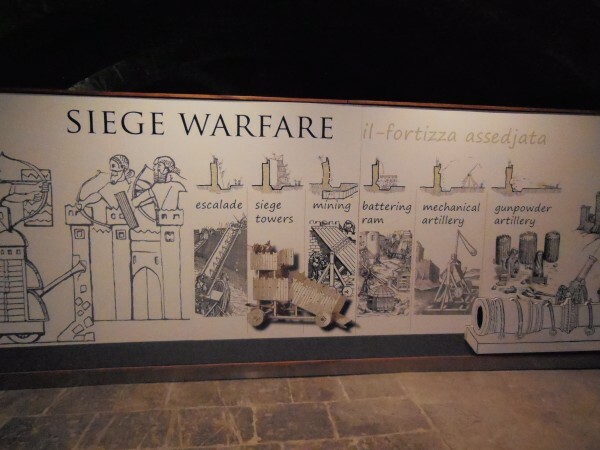 Right from the outset, it was decided that the centre should not be just another ‘museum’ delving back into Malta’s history of wartime and warfare, since Malta’s fortifications’ main purpose was to “protect rather than destroy life”. The Interpretation Centre’s role is therefore to look deeply at the uniqueness of the islands’ fortified constructions and to explore the creativity of their architects, rather than dwell on the popular association of fortifications with destructive forces of man’s intellect and behaviour. 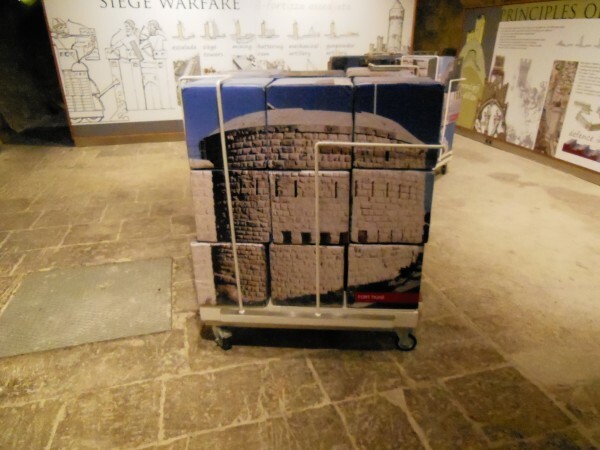 This is how Curator Stephen Spiteri views its role; he is a huge intellectual force on fortifications and has numerous, in-depth works to his name. Francesca di Puccio spent a wet late autumn morning touring this somewhat newcomer on the Valletta heritage trail. It is somewhat hidden away (ironic given its huge and impressive building) but definitely worth seeking out whether you’re a local or a visitor. It’s tucked away en route down to the jetty where the ferry leaves for Sliema. The building has been recently renovated and stands proud as a slice of Valletta’s fortifications itself. 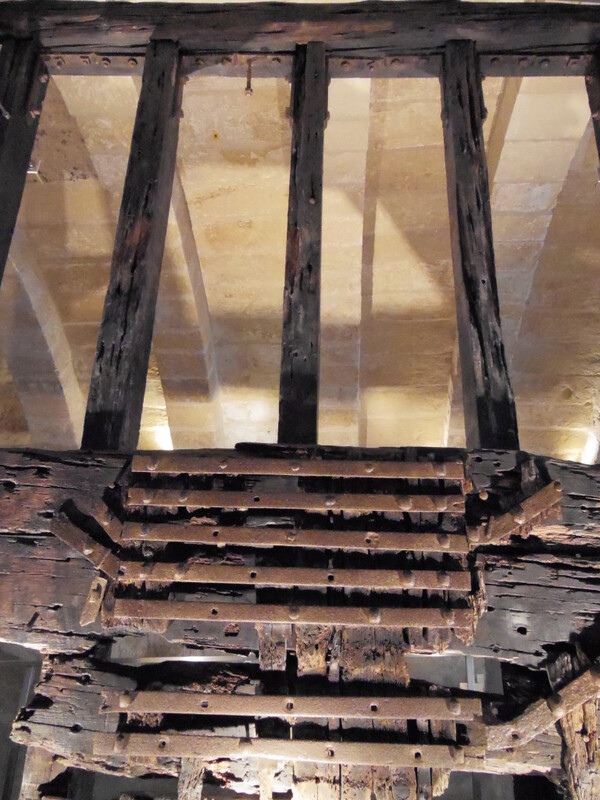 It was restored as part of a programme of ongoing works on the Valletta bastions, so is in a fitting location. Within, you’ll find helpful video information guides, multi-lingual, and various touch screens that trace the history of the fortifications, covering their designed, built and purpose, as well as introducing us to life within them; ie. how the they were provided with basics like water and heating. The Centre has a variety of models, many made ​​by the Stephen Spiteri, which perfectly reproduce the morphology of the territory and that describe the methods deployed by the military architects of the time to protect Valletta’s garrisons and populace from enemy attack. There are many informative panels that describe the various types of fortifications around the world (the Centre places Malta’s fortification within a wider context). You can opt to take a free guided tour lasting an hour and a half. On our visit, the guide was immensely knowledgeable and took care and time to explain every detail and answer numerous questions. With a guided tour, you get to find out some hidden and curious facts and details; for instance, our guide pointed out that the drawbridge would have been made in pine as this wood was able to flex, but not break, under the weight of heavy goods while other woods would have proved too brittle. Larchwood was used to clad it and give it durability. Another curiosity can be found in the walls, which are built not only upward but also downward, in the sense that they were hollowed out of the rock; the walls are between 7 to 10 metres because they are composed of two layers, in between which is stone and rubble. This triple layer construction makes the fortifications incredibly robust and resistant to enemy attack, especially after the introduction of canon. Another amazing fact, which is almost impossible to fathom even with today’s building prowess, is that the construction of the fortifications was completed in just 15 years! For Children: There are games for children, related to the content of the visit, such as 3D puzzles and touchscreens to draw and color in order to make the visit enjoyable also for children. It’s a fascinating place in which one really does seem to take a step back in time. It’s a must-see if you’re at all interested in getting a better understand of the history of the islands, and we’d go as far as to say it’s one of the best attractions we’ve come across in the capital. Its pluses are that it holds something of interest for all ages, and has the capacity to surprise and incite your curiousity! Certainly a place to spend a good couple of hours; on a wet winter day or hot summer one for that! Tuesdays and Thursdays, the Centre is open till 4.00pm. Monday to Friday: 10.00am – 4.00pm. Tuesdays and Thursdays, the Centre is open till 7.00pm. The Centre is closed on public holidays. On the 24th and 31st December the Centre is open till 12.30pm. I think it is wheelchair friendly but be aware that it’s down a steep hill (or up a short one), so perhaps arrange taxi drop off. Contact the centre for their advice as I can’t be 100 per cent sure about access.